Feel the energy to participate in the Inti Raymi, the ancient Andean ceremony in honor of God’s most important Inca culture, The Sun. 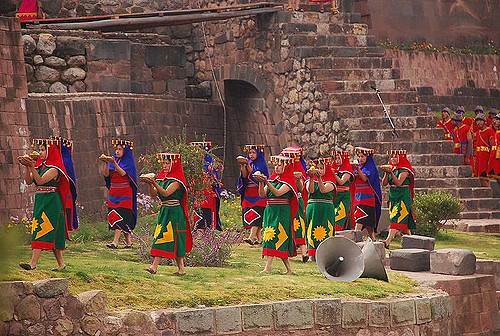 The scenario of Inti Raymi is the fortress of Sacsayhuaman where a role play is performed in which priests, people, and other subjects of the Inca Empire, pledge honor to the Inti Sun God characterized by the Inca. Also, visit the city of Cusco, the Sacred Valley and the majestic ruins of Machu Picchu. Highest altitude: 3,450 m.a.s.l./11,320 ft. Early morning wake up call for breakfast and short drive to the airport to take your 55 minutes flight to the city of Cusco. If possible try and get a seat on the left side of the aircraft as some of the best views of the Andes can be seen by this side of the aircraft. Once in Cusco airport you will meet one of our representatives and will be transferred in private shuttle to your hotel. The morning will be free to acclimatize and lunch will be on your own. After lunch you will have a walking city tour along ancient streets visiting the most important places such as the Cathedral and Koricancha “Temple of the Sun”. Next we will drive to the magnificent ruins of Sacsayhuaman and its impressive rocky constructions. You can decide visiting some other Incan ruins such as Kenko and Tambomachay or going back to Cusco and relaxing in the Main Square. At night we will have dinner together in one of Cusco’s finest restaurants. 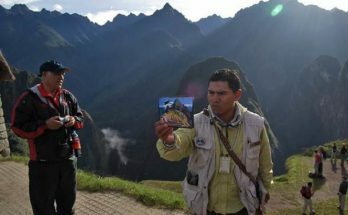 After breakfast, you will meet one of our guides who will take you on a tour through the Sacred Valley of the Incas. You will visit the Inca archaeological complex of Pisac and have free time to wander around the colorful market, where you will be able to buy a variety of handicrafts. After this, we will drive you to Urubamba for a delicious buffet lunch, followed by a guided tour through the giant Ollantaytambo fortress, which was the scene of one of the most famous battles between the Incas and the invading Spanish conquerors. You will return to Cusco in the evening. The night is free for you to eat in a restaurant of your choice, although we always have plenty of suggestions for you if you require them. Today you have a free day to walk around the streets and markets of Cusco, an excellent opportunity to take some photographs or maybe visit some of the other museums in town. If you feel adventurous, you can take a trip to Tipon ruins or to the experimental terraces of Moray. Please check our add-ons for the schedule and price. Leaving your hotel in the mid-morning, you will take your ringside seats for the spectacular show of the Inti Raymi festivity. You will appreciate the costumes of the dancers, hear their music and enjoy the magical feeling of being here at such a special time. The show ends early in the afternoon. You will go back to the hotel and at night you will be able to have dinner on your own. 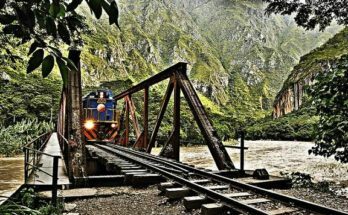 You will have breakfast on board on the Vistadome train, admiring the Sacred Valley of the Incas, on your way to the Machu Picchu Sanctuary, one of the greatest archaeological wonders of the planet. Here you will have a guided tour explaining some of the background behind this citadel. After a long day you will relax in your hotel. For those who want to, you will have the chance to visit Machu Picchu for a second day. This day you won’t have a guide so you may enjoy Machu Picchu at our own pace. 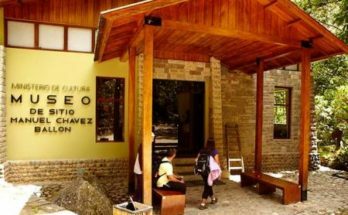 If you want to visit Huayna Picchu or the Temple of the Moon, this is your opportunity. In the afternoon you will return to Cusco. In the evening we will have a farewell dinner with a typical dance show. Breakfast and transfer to Cusco airport. End of our services. Extras, laundry and personal equipment.